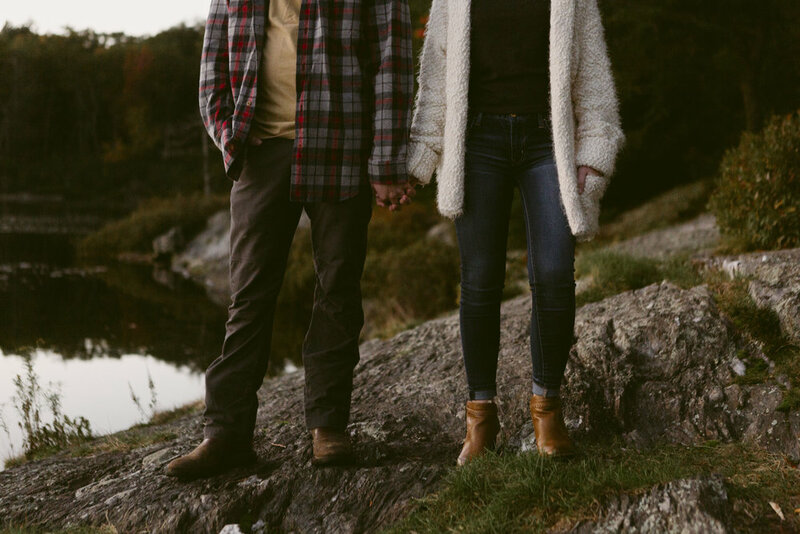 I’ve had this little secret location in Western Massachusetts tucked away in my brain for so long, and when Samantha and Nick agreed to shoot there I was PUMPED to say the least. Peak crispy fall weather, big fuzzy sweaters, and fall plaids? Say no more. Even the minute we got there we had some pretty crazy fire in the sky action going on. Half the fun of these sessions is seeing who tries to throw who in the water. It was basically dark out when we left the waterside, and we may or may not have gotten a little lost in the woods on the way back to the car, but we made it out alive! No getting attacked by rogue raccoons, no Big Foot encounters. Just one VERY big spider, a few wet log crossings, and some muddy trails. THANK YOU, SAMANTHA + NICK!